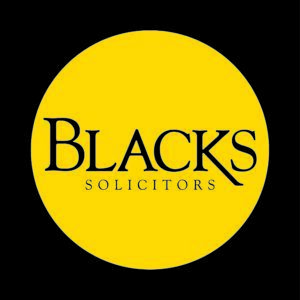 Home Law Recruitment: Have I been discriminated against? What happens if you apply for a job and you suspect you don’t get it because of discrimination? What is a valid basis for suspecting you’ve suffered discrimination and what evidence do you need? No right to be treated fairly. Generally speaking, an employer can decide who it offers a job to. If you get the job because your favorite colour is orange that might seem unfair to the candidate who prefers green. It’s not related to the role and an employer is going to struggle to rationally justify the decision. But the decision isn’t unlawful or discriminatory. That’s because there’s no general legal right to be treated fairly when you apply for a job. Sounds harsh, but it’s true. Unsuccessful candidates have no legal right to feedback. So if you never hear how you got on, you can’t legally insist on a reply. Discrimination is defined by reference to specific characteristics. An employer will face a risk of a discrimination claim if it rejects a candidate because of a ‘protected characteristic’. What was in the mind of the person that decided to reject you for the job? That is the key question an employment tribunal will need to answer. But as we can’t (yet) read people’s minds the law works by drawing from wider evidence as to what was going on in the decision-makers mind head at the time they decided to reject you and offer the job to someone else. So how do you prove the decision-maker is a discriminator? People who discriminate don’t tend to admit it, to themselves or to employment tribunals or their own company or the wider world. The most obvious piece of evidence is something that was said or done that suggests a discriminatory mindset. If something has been said during an interview that causes you concern, make a detailed note of the interview as you can. If possible, make a quick note during the interview itself, or soon after. Handwritten notes are fine. Interviewer: Do you have a children? You: Yes, I have a 4 year old girl and 6 year old boy. Interviewer: Oh right, we have to work late sometimes. Would that be a problem? If you have a concern, try and note down the whole interview, as best you can. That way you give the concerning comments context. An employment lawyer will be able to analyse this evidence and advise you on the merits of a discrimination claim. Seek feedback on why you were unsuccessful. That might be on a phone call, so you guessed it, be ready to make more notes of the reasons given. And be prepared to ask questions. For example, if the employer says the other person had more experience, or qualifications, you should try and drill down into what that really means. What experience, what qualifications. Remember, if your employer perceives you to be hostile there’s a good chance they will close down the follow-up / feedback process. Tip: Structure and sequence your questions carefully in advance – be friendly, and positive in your tone. You are just looking for some pointers of where you could improve! You may know who got the job. Some industries are pretty tight knit and word gets out, or you might see an update on the company website or LinkedIn. If you do, consider carefully whether the successful candidate appears (on paper) to be the better qualified person for the job. Does the successful candidate’s LinkedIn profile have superior work experience and academic qualifications? Tip: Online data changes and is deleted. Consider screen grabbing the evidence. Think carefully about everything that was said and done. It may be the feedback has satisfied you that the better candidate got the job, or that your ‘protected characteristic’ was not relevant or a factor in the decision to reject your application. Remember that even if an interviewer has said something that you think might suggest discrimination occurred, it is open to the company to put forward evidence to challenge that claim, for example the successful candidate may have more experience and qualifications on paper. If you still have concerns, and you feel the effort, stress and costs of pursuing a claim are worthwhile, consider following things up in writing with the employer, setting our your concerns in writing, and seeking a reply. At this stage you are expressing concerns based on the evidence you have gathered. It is a chance for you to ask questions, more generally, about their recruitment exercise. You may ask about how many women are employed at the level of management your applied for, compared to men, for example. The company may ignore your questions – as they are not required to answer them. But their failure to respond, or equivocal replies, won’t make them look good. Tip: keep a record of all emails you send, and any phone calls. This could be valuable evidence should you bring an employment tribunal claim. There’s nothing stopping you asking for documents. For example, if the interviewer made notes, point that out and ask for copies. Ask for copies of any emails or record of decision-making processes with regard you your rejection. You may also want to make a Subject Access Request. This is a procedure under the Data Protection Act 2018. It costs you nothing and involves you asking for personal data held about you. The business has to respond in a month. There are strict time-limits to bring a claim in the employment tribunal, so don’t delay. Usually you have three months (minus a day) from the act complained of, to bring a claim. But before you go to an employment tribunal you need to raise a claim via ACAS, through its Early Conciliation Scheme. You may be offered a sum of money to settle your claim. There are advantages to an early settlement deal. It allows you to move on without the costs, delay an risks of an employment tribunal claim. IMPORTANT: We recommend you take urgent legal advice on the applicable time-limits for your case. The contents of this article do not amount to legal advice. You should consult a solicitor about your situation to obtain legal advice, without delay. Next articleBasingstoke Settlement Agreement Employment Solicitors.